There are plenty of reasons to record your screen. 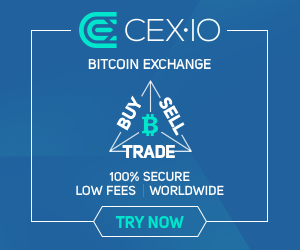 You may want to show a friend the new feature. Maybe you wish to record an item demo video for new prospects, or perhaps a tutorial for YouTube. Whatever your reason to screencast, you want to record a video with google chrome as quickly and efficiently as possible. There are lots of desktop tools that permit you to record your screen – but the issue with most of them is that you'll require to spend up some money. 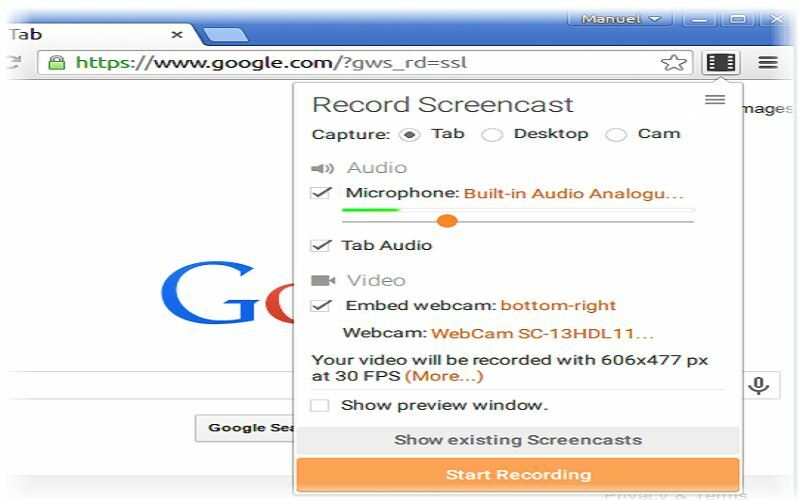 If you need to record a video with google chrome tab activity from time to time, then Screencastify is a simple, semi-freeway to accomplish this. 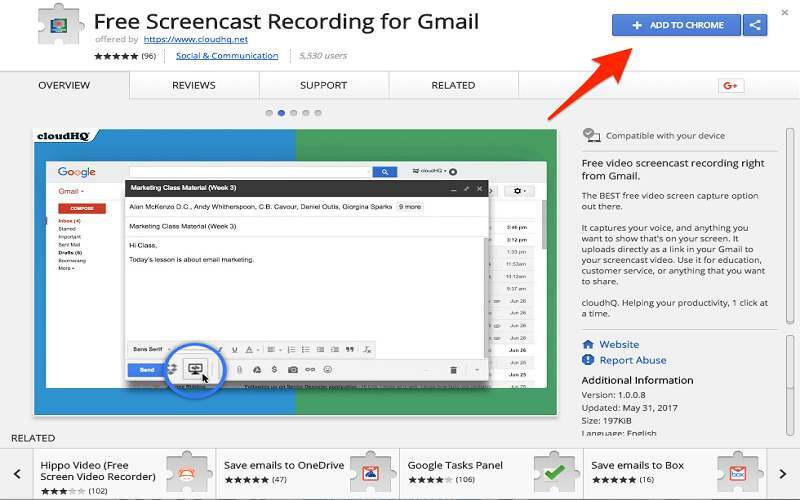 To add Screencast to record a video with google chrome, open the Chrome Store, click the +ADD TO CHROME button, click ADD EXTENSION in the popup window, and reload your google chrome. It's that simple. Now you will notice the screencast icon in the extensions menu of Google Chrome which is in the right of the address bar. To start a screen recording, click on the icon! Once you've clicked it, you'll receive a popup menu which provides you with three options to record a video with google chrome. 1 Your Entire Screen records. 2 Application Window allows you to choose any program that's open on your desktop. Once you select a program, the screencast will record only that application window. 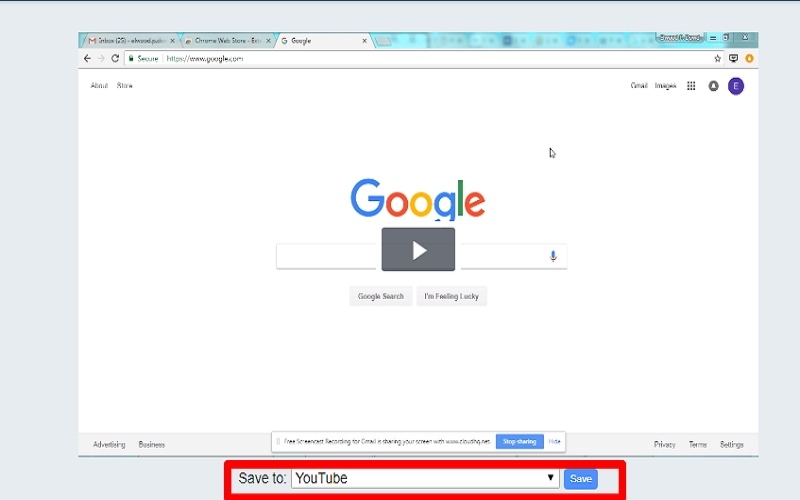 3 If you wish to record a website or application, select Chrome Tab. This method will present you with the list of the open tabs in your browser. Once you've selected one, the screencast will record only the specified tab. When you've selected the required portion in the screen to record, press the Share button to start the recording (if you do not see the Share button then expand or maximise the screencast window). If you do not wish to record any sound, then disable your microphone before you start recording. There is a countdown from three for you to organise yourself, and your recording will begin. Once you have started recording, the Display Window will show what's being recorded in the screencast. You can quickly stop recording anytime by clicking Finish Recording. There is a progress bar in the bottom of the screen which will allow you to stop recording whenever you want by clicking the Stop Sharing button. When you've finished recording, your screencast will need a few seconds to render. A new tab will open in your Google Chrome browser with the rendered video. Here, you can copy/paste the URL and send it as a link by email, chat, or SMS. Alternately, you can also select Save to: dropdown menu to upload your video as an MP4 video file directly to YouTube, Dropbox, Google Drive, Box, or OneDrive. Once you've selected a destination, click Save to and send the recorded video file to that particular account. Finally, when the video has saved, a successful message will appear above your video with an url to your selected account. Click on the url to open the file location in a new tab. Also, read “How to view iCloud photos online?” and “Top 10 Best chrome extensions for Gmail” Thanks for reading this post here at TheDevelopingDaily.com.